Some people are wondering if we're looking at bomb cyclone 2.0 this week. There are some discrepancies between the two. Strong winds and rapid intensification are reasons this week's snow storm is similar to the 'bomb cyclone' that slammed into Colorado last month. 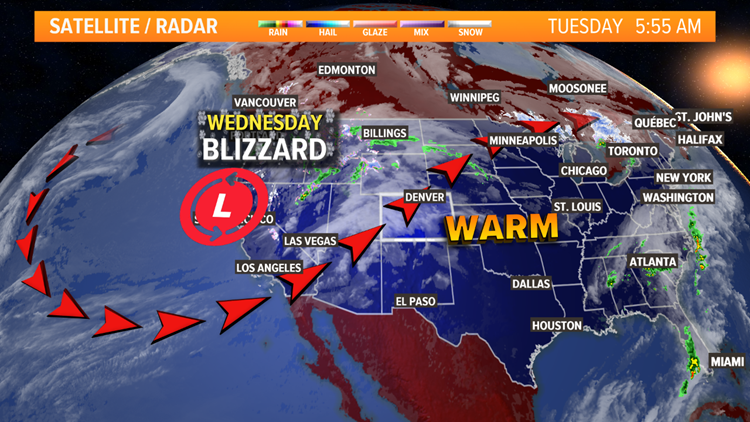 The Denver metro area and Eastern Plains are expected to see blizzard conditions Wednesday afternoon into early Thursday. 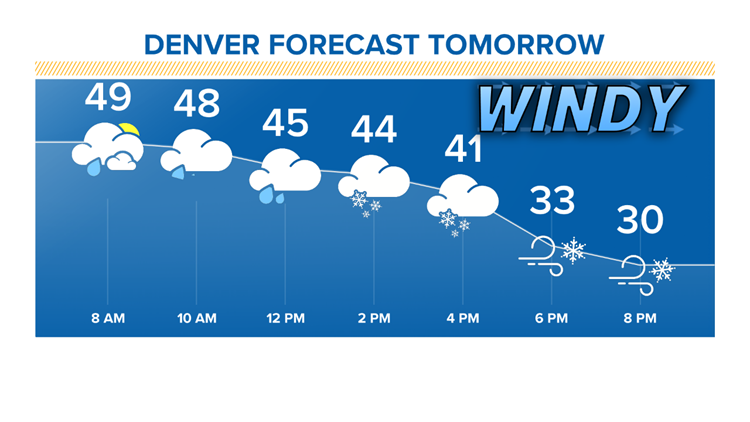 Rain showers will start Wednesday morning, then transition to snow throughout the afternoon. Winds will be gusting near 50-60 mph, making for reduced visibility at times. This has a lot of people wondering if we're in for "Bomb Cyclone 2.0." Below we lay out what's similar — and what's different — between the two storms. 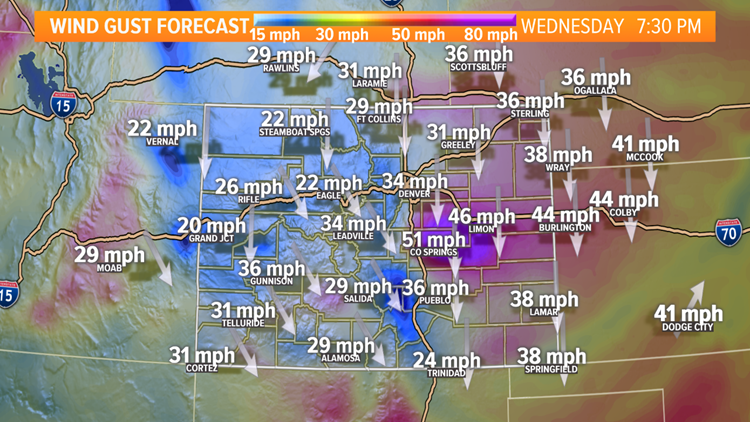 Strong winds: Wind gusts could reach up to 51 mph in some parts of the state. Wind was also strong during the March 2019 blizzard. Rapid intensification: That's what started the whole "bomb cyclone" excitement with a storm that rapidly became not just strong, but record breaking, very quickly. This storm will also intensify very quickly, and there are some parts of Colorado that could hit that "bombogenesis" threshold of 24 mb in 24 hours, but in general, it's not looking quite as strong. Storm track: March's storm essentially originated in Colorado as it rapidly intensified and then moved off into the midwest. In general, the moisture came from the southwest. This time, the storm is coming from the Pacific Northwest. The temperatures the day before: The day before the March 13 "bomb cyclone" blizzard was warm for March, reaching 60 degrees. The temperatures leading up to Wednesday's storm are quite a bit warmer. 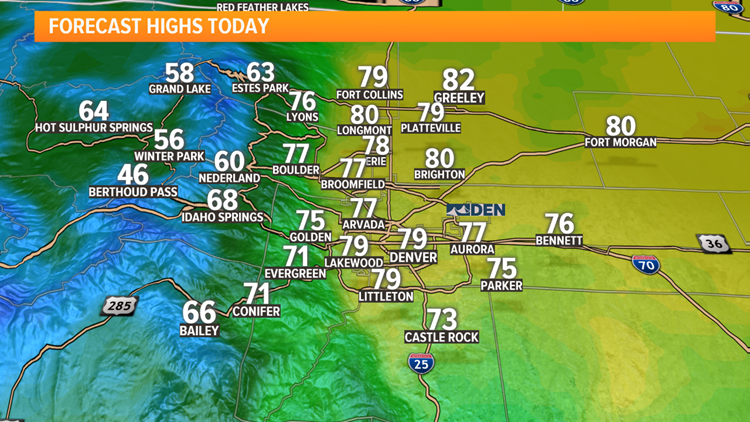 We've seen temperatures in the 70s and even near 80 degrees for several days. That means the ground is a lot warmer this time around, which should allow for more melting on paved roads. Travel will still be difficult, especially over eastern Colorado, but we'll take any extra melting we can get. The timing for transition from rain to snow: During the March storm, the transition happened mid-morning for much of the Front Range. This time it'll take a bit longer. For some spots, it could be as early as 1-2 p.m., for others, the transition will happen closer to 4 p.m. It just depends on a few degrees for that changeover. > Click/tap here for the full 9NEWS weather forecast.